EVE Cell Counting Slides are compatible with the EVE Automated Cell Counter and the Invitrogen™ Countess™. 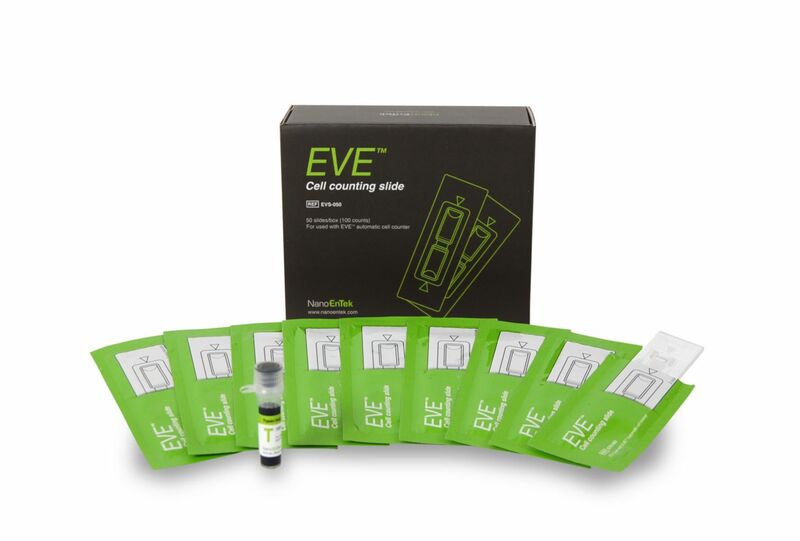 EVE Cell Counting Slides can be used with the EVE Automated Cell Counter to count cells and to determine cell viability accurately and precisely. Simply mix 10 μL of sample and 10 μL of trypan blue stain 0.4% using a pipette. Pipette 10 μL of sample into one chamber of the slide. 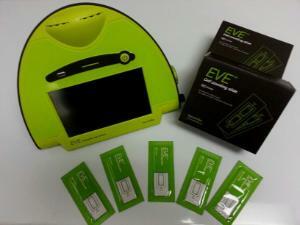 Insert the slide into the EVE Automated Cell Counter sample side first and count. Packaging: One pack of 50 includes 50 disposable counting slides (100 tests) and one vial of trypan blue stain 0.4% (1.5 mL). Slides are packaged individually.